I would like to introduce to a super food which is not on the hit list yet among the Indian population but familiar in other countries. 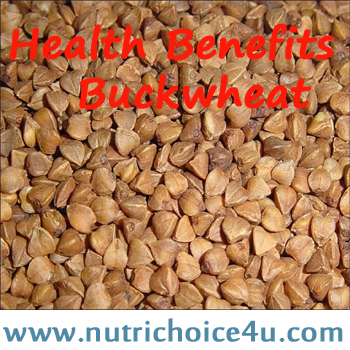 Health benefits of Buckwheat are numerous and are proved by researches that have taken place to prove its good will. It does not belong to wheat family or does not have any connection with wheat. 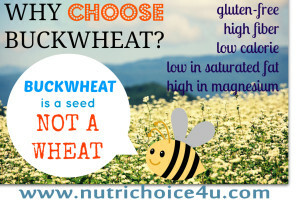 Buckwheat is absolutely gluten free and is one of the best substitutes to wheat, rye, barley, oats in celiac patients and gluten allergic patients. Buckwheat is a fruit seed that is closely related to rhubarb. The darker the buckwheat the more is the nutrient content. Buckwheat flowers have very strong fragrance which attracts the bees and hence buckwheat dark honey is also of its special kind. Buckwheat in hindi is “Kuttu”. Kuttu can be used as a whole grain or it can be grounded into flour and used to make Indian bread. Buckwheat is gaining importance because of its high nutritional value and its good effects on health. As weight loss is in trend, buckwheat has gained importance because it is rich in dietary fiber and protein and very negligible in fat content. This combination plays a significant role in suppressing your appetite, controlling sugar levels in diabetics, improves digestion and building lean muscle mass. Buckwheat starch has good energy as compared to that of wheat, rice, barley, oats etc. At the same time it has low glycemic index so can be recommended liberally to diabetic patients. Buckwheat contains all 8 essential amino acids unlike in other grains which lack lysine and arginine. 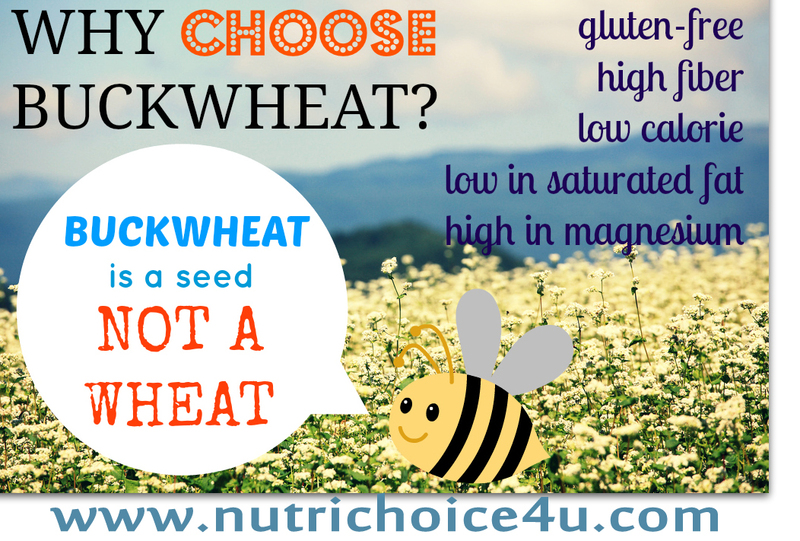 Buckwheat comparatively has high amount of protein as compare to other grains. It is a good source of tryptophan which helps ensure a sound night’s sleep. Buckwheat is seen to have pre-biotic effect on the body. Buckwheat contain D-chiro-inositol. D-chiro-inositol compound is required for proper conduction of insulin. This compound is deficient in diabetic patients and hence Buckwheat helps to maintain good blood glucose control. Buckwheat is high in magnesium. Magnesium is a natural vaso dilator. It increases the diameters of the veins thereby reducing the blood pressure. This property reduces the heart risk and keeps blood pressure in control. Buckwheat is rich in B vitamins i.e niacin, folate and vitamin B6 and hence is highly beneficial for the cardiovascular health. These vitamins lower the concentration of cholesterol in the blood. Niacin causes an increase in high density lipoproteins (HDL) which further enhance the blood vessel strength and cholesterol removal. The antioxidants, lignans play an important role in estrogen reception and hence are beneficial for women during or after their menopause. Buckwheat has high content of magnesium and vitamin E, hence buckwheat can help in reducing the incidence of childhood asthma. One cup of cooked buckwheat contains almost 20% of your required daily intake of fiber. Diets high in fiber have been shown to significantly reduce the risk of colon cancer. 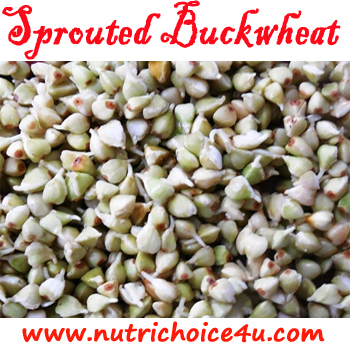 Buckwheat is also found useful to protect against breast cancer and galls tones in women. These are benefits of Buckwheat (Kuttu). Get your packet of buckwheat today and include in your diet with variety of preparations. 6 Responses to Health benefits of Buckwheat. I consume Bajra roti (sweet) with milk almost alternate day in winters. Can this cause heavy periods? Thanks. Do not worry. You are eating healthy. If you are conscious about your weight than do not sweeten it. My brother recommended I would possibly like this web site. He was entirely right. This put up actually made my day. You cann’t consider just how so much time I had spent for this information! Thanks! THANK YOU NEHA FOR THIS INFORMATION GIVEN. BUT WHERE CAN I GET THIS ? WHAT IS THE COST OF BUCKWHEAT ?